DECEMBER 2016 - The Coordinator is the bi-monthly newsletter produced by the San Luis Obispo Council of Governments (SLOCOG). Thirteen transportation sales tax measures were on the ballot requiring 2/3rd voter approval in California. Six (6) were approved by voters, plus a multi-county BART bond. This brings to total number of Self-Help Counties in California to twenty-four (24). Now 88% of Californians are living in a Self-Help County. On the Central Coast, Monterey, Santa Cruz, and Santa Barbara now each have a voter-approved Self Help measure. Seven (7) ballot measures were rejected by voters, including the local Measure J. Measure J needed 66.7% for passage and came in just short with 66.3% of the voters approving the measure. Of the seven measures that failed in CA, Measure J was the closest to achieving the required 66.7%. Lastly, there was no progress in the Legislature’s Extraordinary Session on Transportation. Transportation funding at the state-level will now be picked up in the next legislative session. At its December meeting, the SLOCOG Board unanimously approved the State Route 227 Operations Study. The study explores short- and longer-term improvements to address traffic congestion, side street access, multimodal conditions, and safety in the corridor. It is a culmination of more than a year of collecting traffic data, public input, and coordination with Caltrans, the County of San Luis Obispo, San Luis Obispo Regional Transit Authority, the City of San Luis Obispo, and others. SLOCOG thanks those agencies for their coordination, and especially thanks the many citizens who participated in one of the three public workshops, or in other ways. Additional information can also be found in the staff report. The recently funded San Juan Creek Bridge project ($1.3M) will construct a pedestrian bridge along the northerly side of the existing vehicular bridge on Center Street in Shandon. Existing conditions are high vehicular volume with limited pedestrian facilities. Currently, pedestrians, including many school-age students, as well as bicyclists, are crossing the creek river bed and/or walking across the existing vehicular bridge in order to access the eastern side of Center Street. 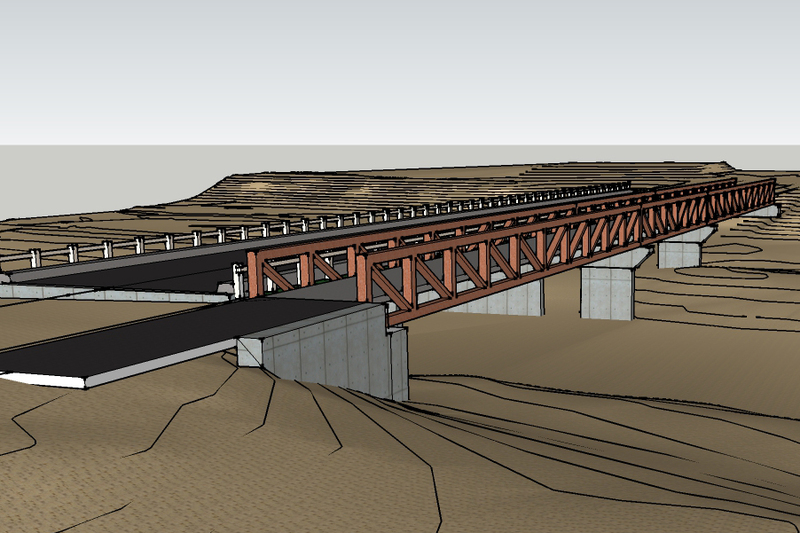 Construction of a bridge will be detached on the north side of the existing vehicular bridge. This project will increase the safety for all users by providing a separate facility. County Public Works will begin construction in summer of 2017. The 2017 Active Transportation Partnership Program is a series of work program strategies defined with the intent to bridge the interests and goals of the active transportation community. The work program is a framework to guide near-term Active Transportation development activities in the San Luis Obispo County Region. It recommends bicycle and pedestrian programmatic strategies and tactics and informs the regional investment scenarios, including those which improve safe routes to school and community livability. More information, including the draft plan, can be found in the staff report. SLOCOG Audit: Another Clean Bill of Health! The 2016 San Luis Obispo Council of Governments Fiscal Audit and 2016 TDA Compliance Single Audit, as prepared by Moss, Levy & Hartzeim LLP, was submitted to the Board at the December 7, 2016 meeting. We are pleased to announce that again this year, there were no Financial Statement findings, in accordance with Government Auditing Standards, or Federal Award findings, for the fiscal year ended June 30, 2016. The audits can be viewed from SLOCOG’s website here. 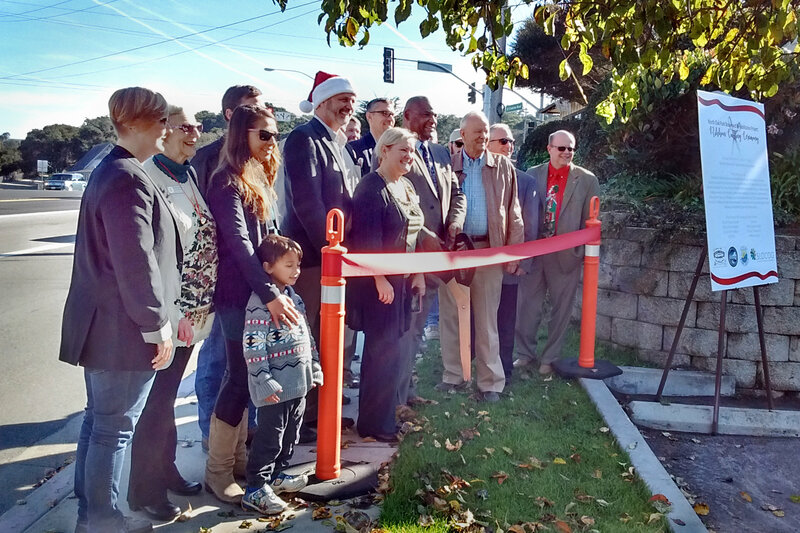 A ribbon cutting ceremony to celebrate the completion of the Oak Park Boulevard project was held Dec. 13 in Arroyo Grande. SLOCOG and the cities of Grover Beach, Pismo Beach and Arroyo Grande collaborated on the $2 million project which included road resurfacing and and sidewalk improvements. In the City of Atascadero, this new 8 ft pathway running the north side of State Route 41 provides a safe, off-street, walkable community amenity for neighborhoods. 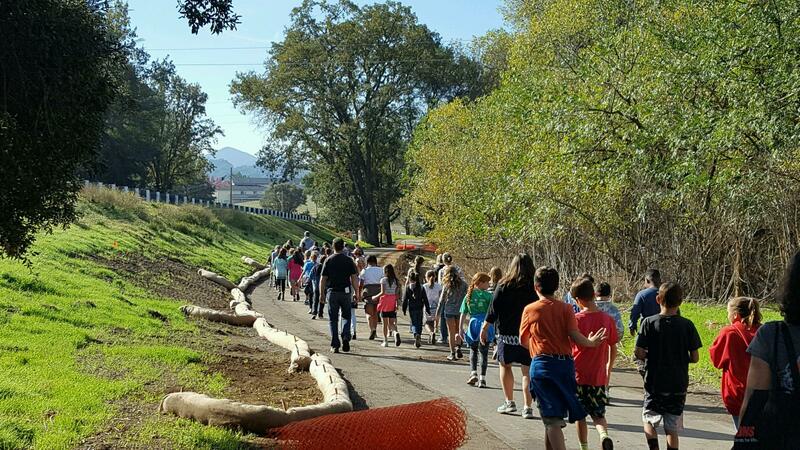 It also completes the second phase of a multi-use Safe Routes to School pathway between San Gabriel Elementary School and Atascadero Lake Park. The project was delivered through efforts by the City of Atascadero Public Works Department working in partnership with Caltrans and SLOCOG. SLOCOG provided $676k ($150 Regional State Highway Account and $526 Regional Improvement Program (RIP) fund). Jeff Brubaker, SLOCOG Staff, named Public Professional of the Year! 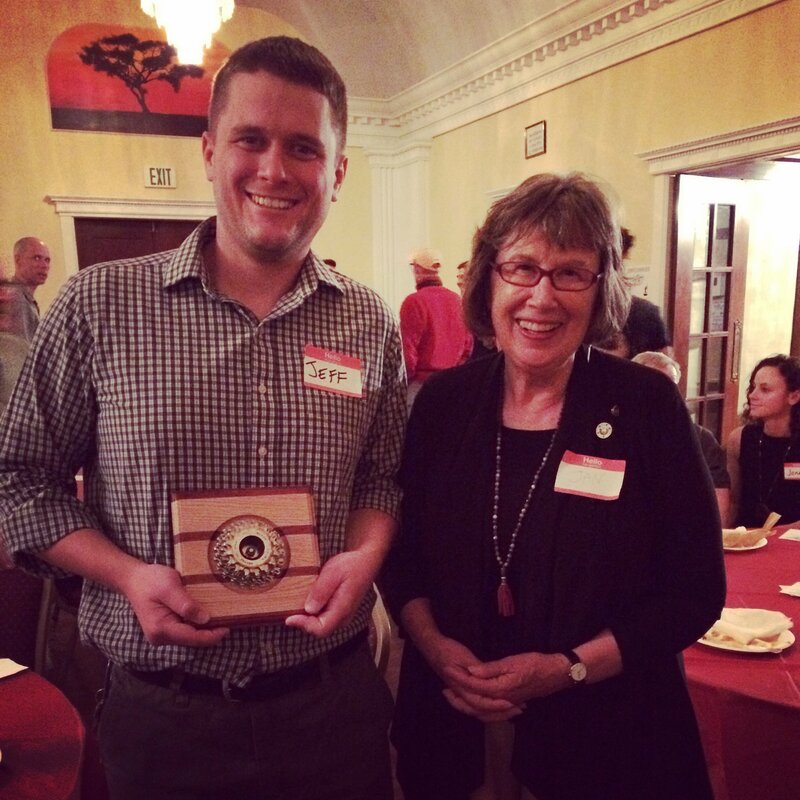 Bike SLO County has awarded SLOCOG Transportation Planner Jeff Brubaker with the Red Davis "Public Professional of the Year" Award for his hard work to support the greater cycling community and his overall professional demeanor as being fair and balanced to the needs of all members of the community. Great work, Jeff! We're proud that you are a part of the SLOCOG Team. FY 2017/18 Unmet Transit Needs & Bicycle/Pedestrian Improvement Requests Wanted! SLOCOG holds an annual Unmet Transit Needs (UTN) study and public hearing as required by the State prior to programming Transportation Development Act (TDA) funding. Attend the public hearing Wednesday, February 1, 2017 at 8:30 AM in the County Board of Supervisors’ Chambers located at 1055 Monterey Street in San Luis Obispo. A Bicycle and Pedestrian Improvement public hearing will immediately follow. The last day to submit UTN requests for the FY 2017/18 study is Wednesday February 8, 2017. Please note that the SLOCOG office will be closed from December 23 - January 2.